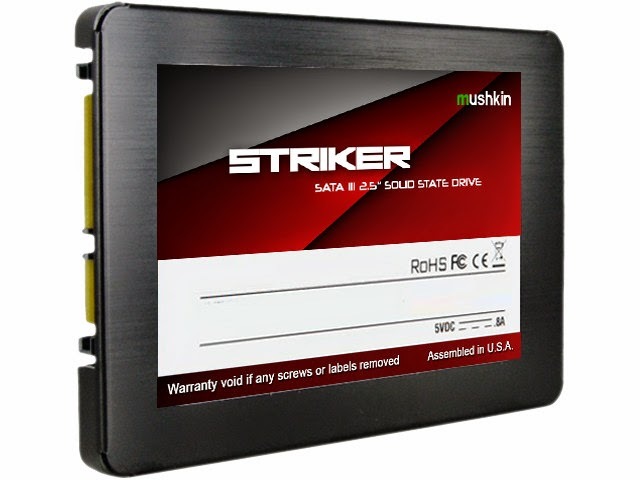 Mushkin Enhanced MFG, an industry-leading designer and manufacturer of high-performance and mission-critical computer storage products, today announced at CES 2015 its new STRIKER series of solid state drives. Boasting top-tier performance specifications, the STRIKER 2.5" SSD is an important step forward for Mushkin to offer the most well-rounded SSD lineup - producing solutions for high value, performance, and capacity. The STRIKER SSD provides sequential read and write throughput of up to 565 and 550MB/s respectively, with random performance of up to 90,000 4K IOPS. Launching in 240-960GB capacities, the new STRIKER SSD series will be available at retail channels in Q1 2015. "Mushkin is committed to giving our customers the best performing and most reliable SSDs and our new STRIKER family of drives delivers," said Brian Flood, Director of Product Management at Mushkin. "With an ever-increasing demand for greater performance, the new STRIKER drives provides the ultimate combination of speed and reliability for today's demanding applications."